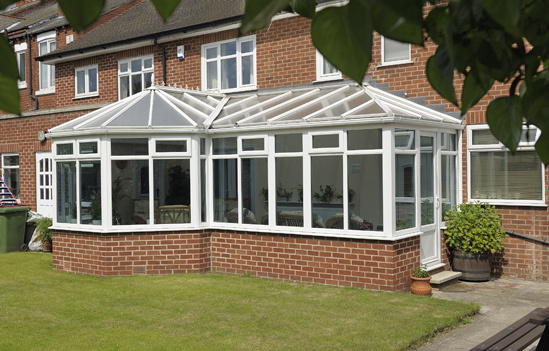 Our conservatories are available in uPVC, aluminium or timber alternative. There are countless designs and everything is tailor made to your property. Whichever material you choose for your conservatory, there a few different roof shapes available. Edwardian, Victorian, Lean-to, Gable-end or P-Shaped. In addition to this, we often design conservatories for our customers that don’t fit any mould. We call these Bespoke conservatories. We use a combination of Ultraframe and Atlas roofs depending on our customers requirements. Are designed with our customers from start to finish. From the initial appointment to the showroom appointment to firm up design, onto the site survey to take final measurements and design right through to the final installation. Come as a complete package. We carry out all the planning applications, building, electrical and plumbing work as well as installing the windows, doors and roof. Are fitted with any windows and doors from our uPVC, aluminium or timber alternative range, with all the features and colours each of those come with. Are fitted with the latest anti-sun, solar control or self-cleaning glass in the roof, available in clear, green or blue. Can be fitted with a LivinRoom, giving the feel and look of an orangery, for a fraction of the price. Are postcode checked for snow load and wind speed. If our customers property is in an area with a high snow load, we will used a reinforced roof for extra strength in the winter months. Are sold on the proviso that we remove any existing conservatories and remove all rubbish after the installation. Are available with traditional decorative crestings and ball or spike or finials or alternatively with modern low profile cresting and no finial. Come with a no quibbles 10 year insurance-backed guarantee on the frames, glass and the building work. Our Edwardian conservatories are very popular. They’re simple and elegant and so appeal to many homeowners with vastly different properties. They look great on both traditional and modern properties. Depending on the size of the conservatory our customers are after, we can provide both a single Edwardian and a double Edwardian too. To see the differences between the two, head to the gallery section. Aluminium sliding doors, windows and Atlas roof conservatory. For the more traditional property, the Victorian roof design is very often the answer. 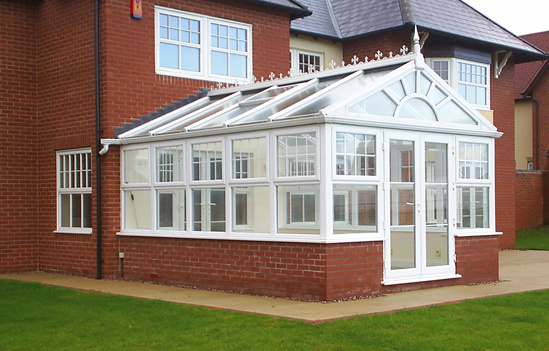 As with our Edwardian conservatories, the Victorian comes as a single or as a double Victorian for the larger designs. To further enhance the traditional aspect of the Victorian conservatory, our customers often go for decorative cresting and a spike finial to finish it off. Head over to the gallery section to see images of these designs. 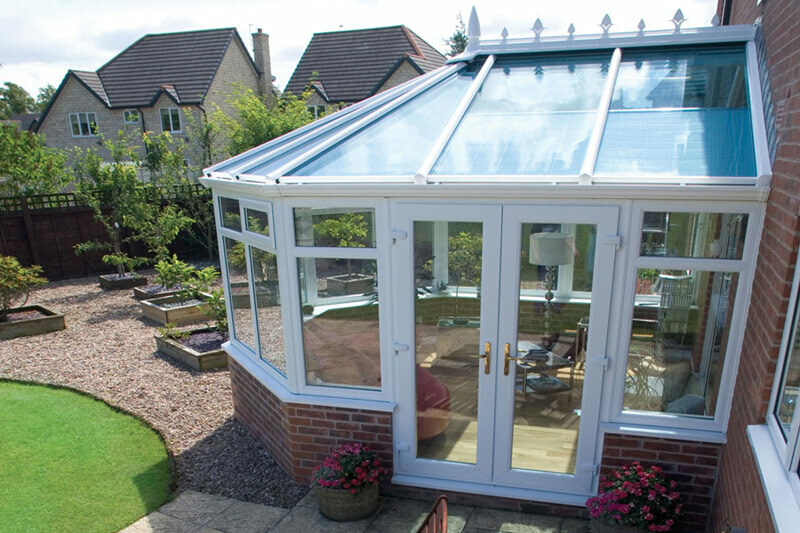 Our lean-to conservatories are incredibly popular. In some properties, their design allow the maximum light possible with minimum frame, making them a very popular choice. 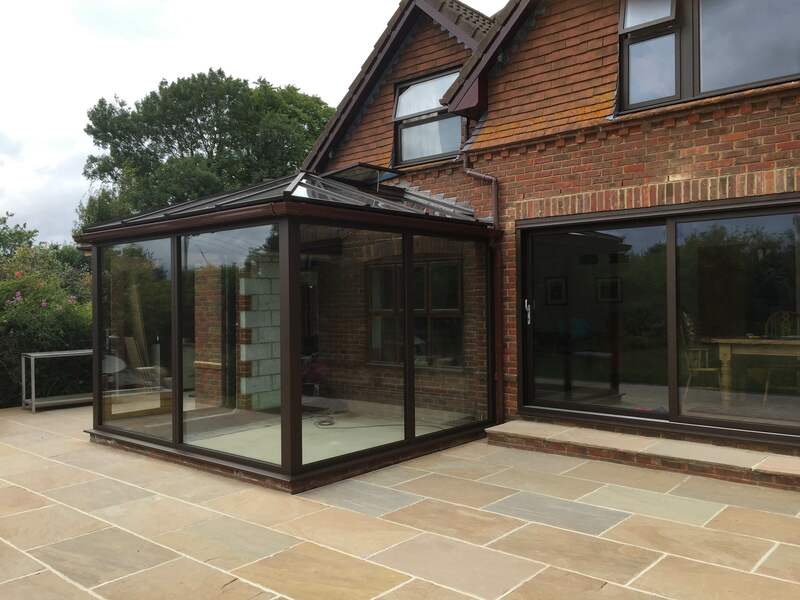 Conservatories and extensions are always expensive and many customers also find that a lean-to conservatory is a great value for money addition to their home. 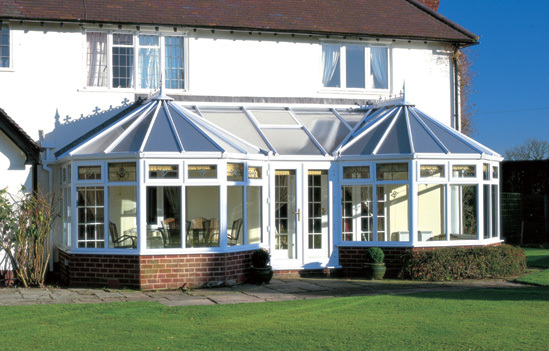 Gable-ended conservatories truly create a feeling of space. With the roof running fully elevated with no pitch, the interior roof space of a gable-end conservatory is maximised. Our customers also choose a variety of designs for the gable end “piece” itself. To check out some different gable designs, head to the gallery or pop into our showroom, where we have one on show. 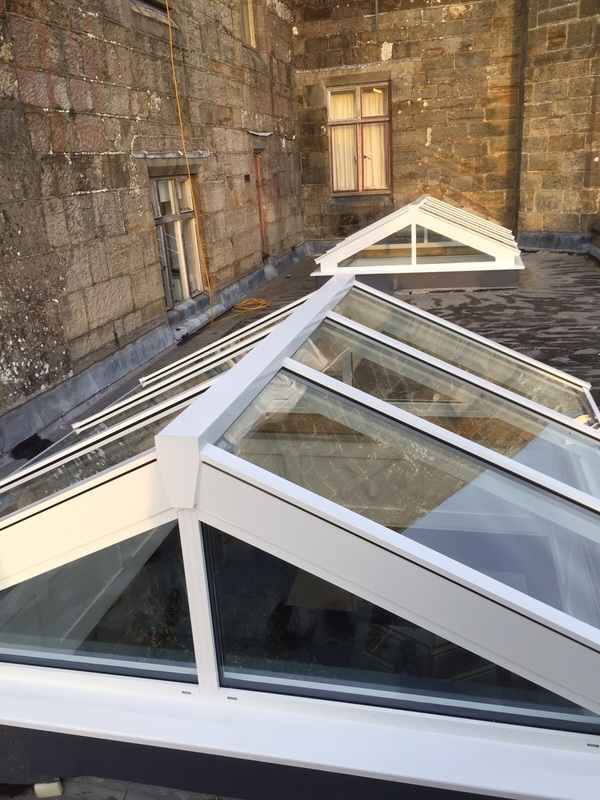 Lantern roofs spruce up any extension or refurbishment – even on a castle! P-shape conservatories combine the best of all designs. The feature a lean-to for the stem of the P, and a Victorian, Edwardian or Gable-end for the featured curve of the P.
All can be truly personalised and tailored to your tastes. The extra space created by a P-shape conservatory is truly impressive and often become the most used room in the house. Bespoke conservatories are exactly that. Totally bespoke. This could be two double Edwardian conservatories next to each other. The possibilities are endless. Generally, our customers property and of course, budget, dictate the bespoke design possible of the conservatory. At our showroom in Kent, we have invested a lot into developing our conservatories so we have everything on show. We’ve got Edwardian, Gable-end, Victorian and P-shaped conservatories with a traditional orangery and Loggia to complete the set. When making such a substantial investment in your home, it’s key to see exactly what you’re going to get before you order. Even more importantly, so many of our customers come to the showroom and make a u-turn in design after seeing the structures in the flesh. We’re at Unit 8, Queenborough Business Park, Queenborough, Kent, ME11 5DY. We’ve even got complementary tea and coffee on tap!